If you are in need of commercial drilling services in Pittsburgh and the surrounding area, Matthews Wall Anchor provides many drilling options. We provide estimates and proposals that contain all the necessary details you need to evaluate your drilling costs and needs based on your specific project. 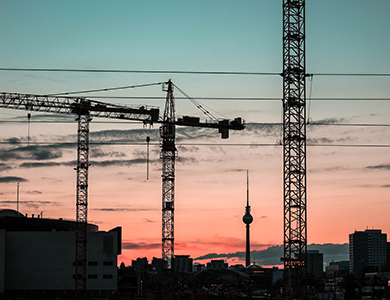 We offer the services of civil engineers and structural contractors to ensure your project is done safely and correctly, following all codes and regulations that are in place. We can create your custom project timeline and work with any budget with our extensive commercial well drilling knowledge (time and costs vary depending on the depth of the well and the rock characteristics, etc.). Our professionals have years of well-drilling experience, allowing Matthews Wall Anchor to provide the best possible drilling solutions for your commercial requirements in Pittsburgh, PA and elsewhere. We have rigs specifically designed for large commercial projects, all with the ability to drill large diameter, deep holes. All of our drilling projects are done with high-volume, high-pressure rigs. Matthews Wall Anchor strives to provide the highest quality commercial drilling services in the area. We are committed to completing the drilling project in the most complete, cost-effective way, while using state-of-the-art innovative equipment. Our hammers and rigs are the newest and most modern on the market. We have the experience, efficiency, and equipment to complete every drill job correctly and within the project time-line. Call us today so we can assist you with all of your commercial drilling needs.